Poitou-Charentes is the region in the central part of western France, between the Loire valley and Aquitaine. Its coastline with its long beaches on the Bay of Biscay is one of the sunniest areas in France. La Rochelle is one of France's loveliest coastal towns with its historic port, quayside and seafront filled with cafes and restaurants. To explore the history of La Rochelle, a must visit is the Le Vieux Port, the old port area of La Rochelle with 14th and 15th century towers. After exploring the port, the walk from the old port to the new harbour offers great views of the town. There are also an selection of guides tours available. The coastal islands of Oléron and Ile de Ré are famous for their beaches. The best way to explore the islands is by bike or on foot. There are almost 110km of bike trails and footpaths on island of Oléron. 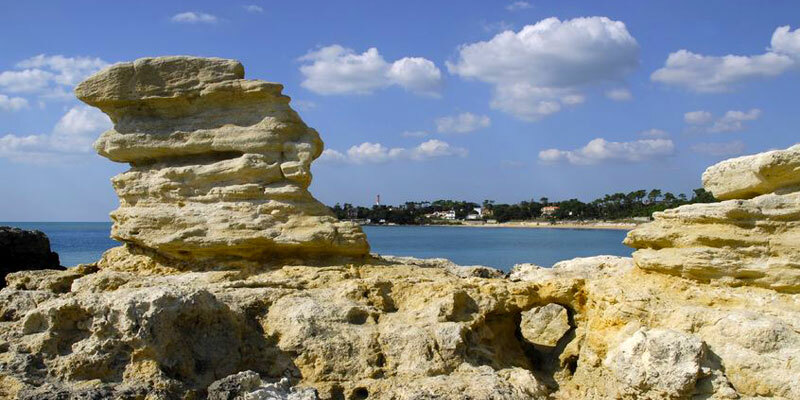 Another classic seaside resort along the Poitou-Charentes is Royan. It offers a warm and sunny climate, tourist attractions, a lovely natural location, great restaurants and some fantastic sandy beaches. The town is home to the la Palmyre zoo, one of the biggest zoos in Europe. The zoo includes polar bears, snow leopards, Siberian tigers and elephants. It is a great day out for all the family.